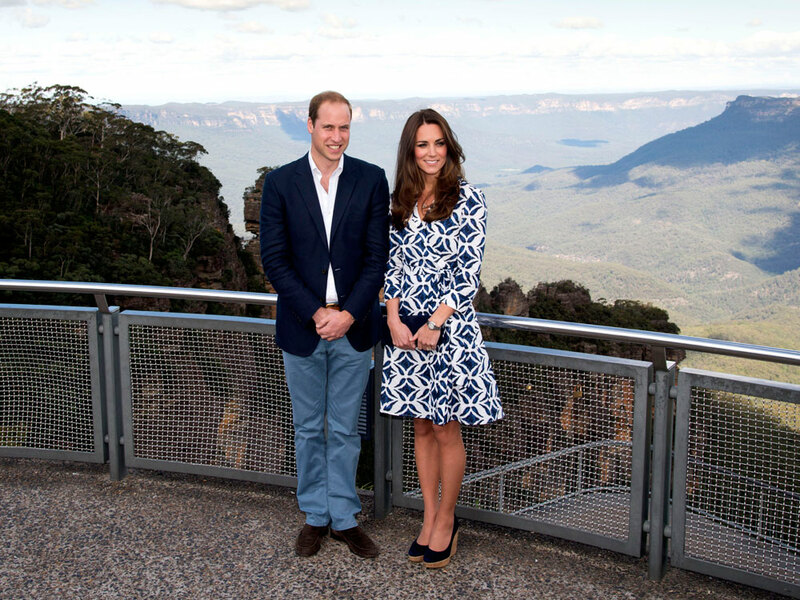 Kate Middleton wore a Diane Von Furstenberg 'Patrice' wrap dress for her visit to the Australian Blue Mountains. Kate Middleton took a break from recycling some of her old fashion favourites and wore new season Diane Von Furstenberg for a visit to the Blue Mountains in Australia. She wore the ‘Patrice’ wrap dress (it is the 40th anniversary of the wrap dress this year, so very apt, Kate) with her trusty Stuart Weitzman cork wedges and a black Stuart Weitzman clutch. She finished off her look with Mappin & Webb Fortune Pendant and sapphire earrings. Some media sites are reporting that the DVF dress sold in EIGHT MINUTES. But that’s not the case, fashion fans. The £292 dress is still available (at the time of typing) at Matches Fashion and Harvey Nichols. But we’re sure it won’t be too long before it does completely sell out.